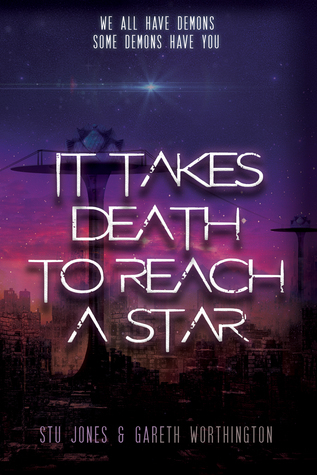 First off, thanks to the authors and publisher for a copy of It Takes Death to Reach a Star in exchange for an honest review. Receiving a free copy of this novel in no way, shape, or form influences my thoughts or opinions. “[I] cannot fathom how Stu Jones and Gareth Worthington created this masterpiece.” – Reader’s Favorite. You know, considering this book has been nominated for a few prestigious awards (and won one of them), and had some great coverage as far as early reviews go, I am surprised I haven’t seen this book talked about more. The year sits at 2251. After the end of World War III, a new plague spreads across the world and wipes out everything in its path except one city – Etyom. Set in northern Siberia, Etyom was resistant to the plague thanks to its harsh climate and its citizen uncommon immunity, but its denizens still have their own conflicts to worry about. In the upper metropolis live the Graciles – beings who were bio-engineered to resist the plague, sons and daughters of the wealthy and elite. In Lower Etyom live the Robusts – offspring of the poor and homeless, somehow immune to the plague ravaging the rest of the world and living off what they can find to afford more time to exist. Mila Solokoff is a Robust who makes a living trading information, no matter the risk, in order to continue her meager existence. Demitri Stasevich is a Gracile, stricken with a sickness that could get him killed if found out; the only way to rid himself of this darkness is a drug found in the Robust-filled city. In the most unlikely of scenarios, both of these figures become entangled with one another and must foil a plot that looks to destroy everything below what the Gracile’s hold dear. But something inside Demitri has… other plans. One thing this book does well is that it never puts on the brakes. From page one, the reader is thrown into the thick of it, only coming up for air long enough to get roundhouse kicked in the face and forced back under. The fight scenes are some of the most descriptive I’ve ever seen, the world-building is expansive yet claustrophobic, and, while I can’t say you’ll fall head over heels for the characters, you’ll definitely be rooting for them from the get-go. It is a novel with plenty of heart at its base, and you don’t have to read too closely to see the religious undertones peppered in. All in all, if you enjoy dystopian fiction with some hard science thrown into the mix, you’ll thoroughly enjoy this book. 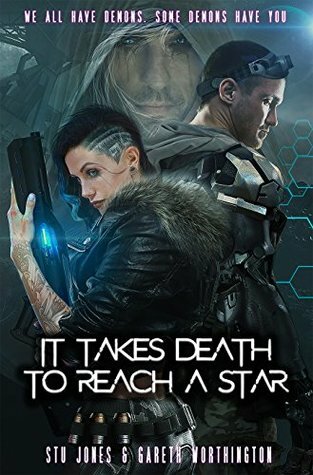 Definitely for fans of PKD and Pierce Brown, or those that enjoyed movies like Elysium or Bladerunner.